This series holds everything I love about reading. It has adventure, mystery, angst, emotion, romance, and yes.. even that musical element I adore so much in books, too. Jeri Smith-Ready has created a story that will forever linger in my mind. These books have become more than just something to read; they've become a part of my literary heart. I had been anticipating the final conclusion in this most epic tale, but at the same time I was hesitant to finish because.. well.. I didn't want it all to end. I wanted Aura, Zachary, & Logan to live forever in my mind. I wanted to discover new adventures with them, laugh hysterically along side them, and yes.. even cry those retched tears which these three characters have a habit of making me do. I love it all so incredibly much. Shine throws the punches right from the beginning. My heart was racing, jaw on the ground, and there were many moments in those first few chapters where I thought -- this can't be happening!! Oh but it was. Aura is destined to figure out the secret of the Shift. Why are her and Zachary so important to it's makeup and how can they alter that. All of these answers did not come right away. If anything, more and more questions sprung up as I tore through the pages. Just when I thought I was understanding it all, a curve ball was thrown at me. I loved the roller coaster ride Jeri took us on. The imagination that's been so brilliantly placed inside these pages astounds me. Jeri has the ability to intertwine a story with rich history and such a believable plot that I really started to think ghosts exist! And then there were two boys. Oh Zachary and Logan. Never will I be able to choose between the two of you. Aura has a past with Logan, that unfortunately has no future. She's on the brink of something amazing with Zachary though. I felt that Zachary's character really "shined" in this conclusion. He is put through the ringer... not just physically, but emotionally too. His ever so patient heart beats stronger than ever next to Aura. I loved how much growth there was between Zachary and Aura in this final book. Their relationship has evolved in to something so much more mature, something that is being tested greatly - but you know, YOU KNOW they will come out the other side - stronger than ever. I cried. Many times. How could I not?! I know it's not goodbye, but it definitely felt like the close of something really special. This is why I love reading so much because you can come back to it time and time again, whenever you need it. Thank you Jeri for creating a world that I hold very close to my heart. The band Frightened Rabbit is a favorite of mine (as is Jeri's) & it's been an inspiration for this series. They are also mentioned in Shine - which I totally squealed about when I read it! Listen to this song.. fall in love with the sound.. then prepare yourself for a truly amazing ending, to one of the best series ever. Specially, when you tell that you cried, I knew this would be a good fit for me, I love when a book triggers emotions! Great review Ginger! 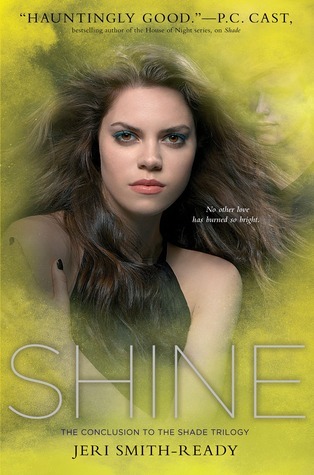 As a reader and lover of all things Shade Trilogy, you nailed your Shine review! 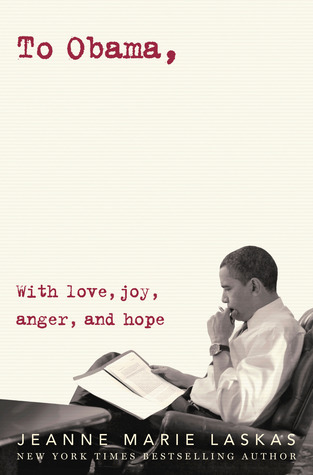 I refuse to read your review, because you will just make me LONG for this book even more and I can't handle it!!! I've still only read the first one but after reading this, I feel like I HAVE to go back and buy book 2. Then that could hold me over until SHINE! Woot! I've been slacking on this series, but, to be proactive about continuing, I bought the second book and will be starting it VERY SOON. Especially after this AY-MAZING review, Ginger! Oh, man *swoons* ZACHARY. Sweet! this series sounds fantastic! I will definitely try it! I always loved series where the story always stays with me. fantastic review! Ahhh I need to read Shift so I can promptly read this one!! I loved Shade!! I think between you, Jen and Anna talking about this one I really need to just push Shade to the top of my TBR. I'm going to have to pick up this series! This was a stunning review. It literally knocked my socks off. I have this one! But I don't have the first two yet - I did promise i would get to them this year though, so I will definitely be purchasing/borrowing them soon. Jeri's a sweetheart and I can't wait to start reading!